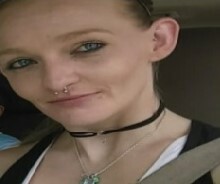 The Oconee County Sheriff’s Office is seeking the public’s help today in locating a missing Walhalla woman. The family of 26 year old Pamela Faith Roach reported her missing to the Sheriff’s Office on February 12th. The family told a deputy that they met with that Pamela was last heard from on the afternoon of February 4th. The Sheriff’s Office reports that she was last seen on or around the same date in the Walhalla area. Pamela is a white female, 5’5” tall with a thin build and blue eyes. Pamela does have a Facebook account and a phone, however, the Sheriff’s Office reports that she has not used her Facebook account in several days and her phone has been turned off, according to her family. Pamela’s information has been sent to surrounding agencies and her information has also been entered into the National Crimes Information Center database. Anyone with any information on the whereabouts of Pamela Faith Roach is asked to call the Sheriff’s Office at 864-638-4111 or Crimestoppers at 1-888-CRIME-SC.